HONAUNAU, Hawaii - Police activity has been reported in the area of Honaunau School. "Avoid area," police say. "Residents are advised to lock their doors. Report suspicious activity." 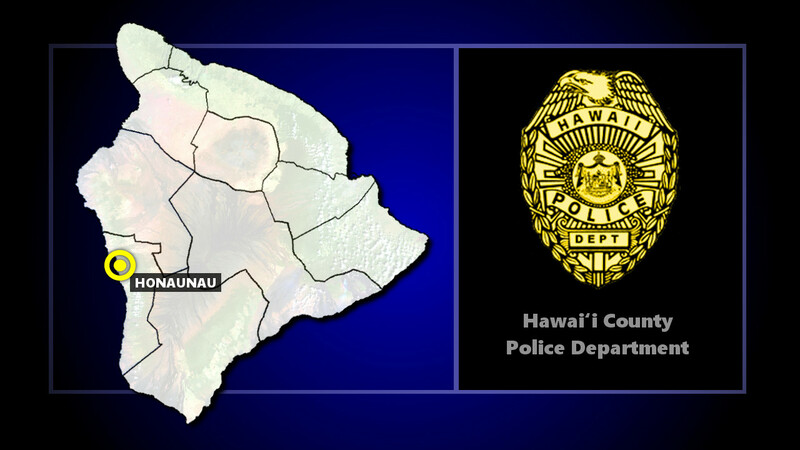 (BIVN) – An alert message issued by Hawaii County Police this evening warns residents to “avoid the area” of Honuanau, and advises them to “lock their doors” and “report suspicious activity”, as police activity has been reported near Honaunau School. A tense, island-wide manhunt is underway for 33-year old Justin Joshua Waiki, the suspect in the murder police officer Bronson Kaimana Kaliloa. Kaliloa was shot and killed Wednesday during a traffic stop in Mountain View on Tuesday evening. The search as been bolstered with assistance from the U.S Marshalls and FBI. Both agencies have offered rewards of $10,000 each. An additional reward of another $10,000 has been offered by Alcohol Tobacco and Firearms, (ATF), which brings the total reward being offered to $30,000, police reported.